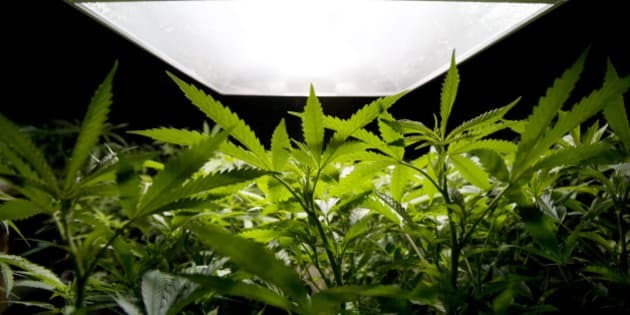 Residents of the Township of Langley, B.C., who are fed up with the pungent smells coming from marijuana grow-ops could get some relief from a new bylaw. The proposed bylaw would allow the township to fine the operators of grow-ops $500 a day for unpleasant odours. Langley Township Mayor Jack Froese said there are a few chronic offenders. "It&apos;s no different than a untidy premises bylaw. You&apos;re not allowed to pile garbage and junk on your front lawn. Municipalities do have bylaws for that too, and this is very similar," said Froese. Filtration systems are available to commercial grow ops to control smell, but some pot producers may not be using them, creating a nuisance for neighbours, he said. "It&apos;s one of the biggest factors in a neighbourhood. It&apos;s the smell and the nuisance of the smell, where people can&apos;t enjoy their patio on a nice summer day because the smell is so intense." Officials said there are about 600 legal medical marijuana grow-ops in Langley Township and most of them operate in full compliance with the rules. "It&apos;s not about collecting money (from) fines, it&apos;s about making our communities that much more livable." Councillors will vote on the bylaw Jan. 26.